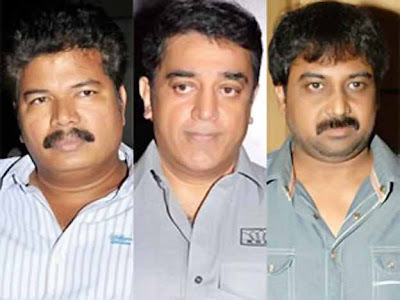 Kamal to be directed by Lingusamy - Shankar? 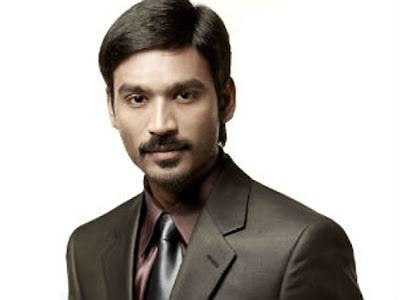 Dhanush makes it once again! A R Rahman supports Dam 999,wishes for Oscar success! The Kollywood industry is abuzz with a rumor that director Lingusamy and director Shankar are silently planning to make a movie together. We hear the directors are keen to cast Kamal Haasan as their hero in this venture. The project is touted to be in its initial stages. Lingusamy and Shankar had come together recently for the former's film 'Vettai's music release event. It is reported that Shankar has written a script. Director Lingusamy who came across this script seems to have liked it, according to reports, and has also got the green signal to direct the same. Now both the directors' unanimous choice happens to be to book Kamal Haasan for the lead role, but the Ulaganayagan is busy with his upcoming magnum opus 'Viswaroopam.' Once this film is wrapped up the actor will set some time aside to hear the directors' out before deciding on his availability for this project, sources reveal. Aadukalam has been awarded the Best Film of 2011 award at the Chennai International Film Festival. Director Vetri Maaran, actor Dhanush, music director GV Prakash and all those associated with the film are extremely happy over this development. Several films participated in the 9th CIFF and out of a very stiff competition, Aadukalam emerged the winner. It is worth mentioning here that Aadukalam also won six national awards including the Best Director award for Vetri Maaran and Best Actor award for Dhanush. Aadukalam had Dhanush and Taapsee in the lead roles and Jayabalan playing the baddie. 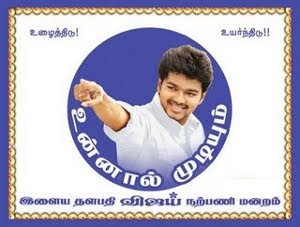 Though Vijay has started working on his Nanban, he heart is still with Nanban, a remake of 3 Idiots. Director Shankar is busy giving final touches to the movie and the audio will be launched in a grand manner on 23 December in Coimbatore. Meanwhile on his part, Jeeva says, 'Shankar has no airs and has been very encouraging, especially since my role is supposed to be comical. He constantly gave me instructions as to what I should do and all the instructions are given over the microphone. 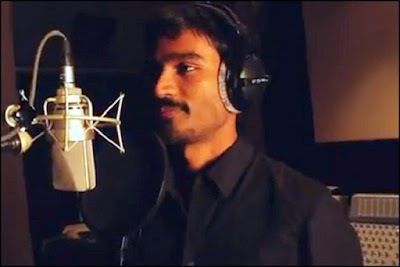 Chartbuster 'Kolaveri di…' has broken all the barriers and has extended its length of reach to Pakistan. It is for the first time in the history of Tamil cinema, a film track has attracted neighbouring country. The song has been remixed with the same beats to make a mockery of the Pakistan governance. The popular news channel, Geo TV aired the track, which starts with the line 'Where is Democracy Di', on a television show Hum Sab Umeed Sai Hein. The song takes potshots at the ill doings of the government. It also makes fun of the leaders, who choose their family members as their successors . Newcomer Anirudh Ravichander's compositional 'Kolaveri di' is the track from the album 3, which will hit the stands tomorrow. 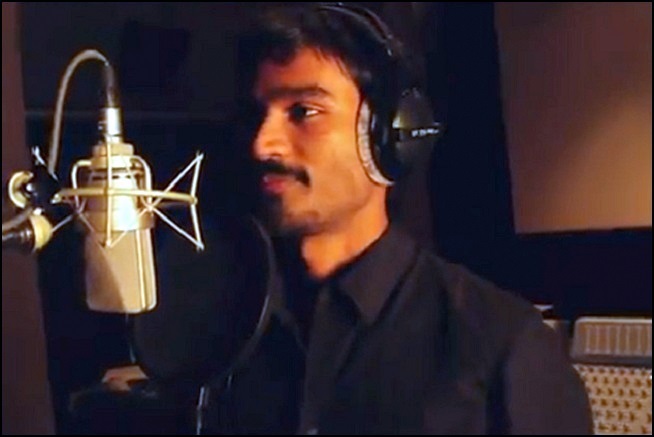 It is written and sung by Dhanush. Sun Pictures has disclosed that the total collection for Mankatha is 130 crores. There were a lot of speculations about this film's collection and its distributor Sun Pictures has put an end to all the speculations by announcing that the Ajith starrer has earned them 130 crores. 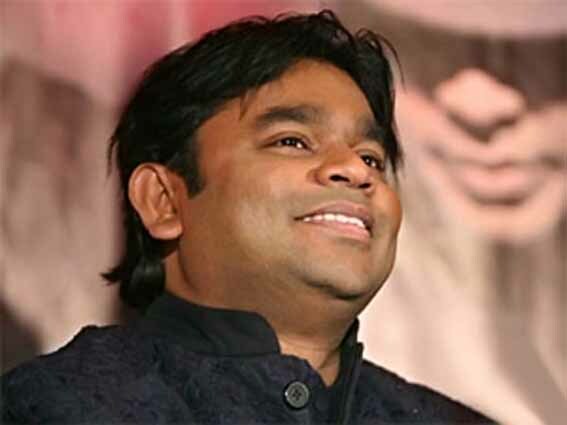 Music Maestro A R Rahman has wished controversial movie Dam 999 to win an Oscar in songs and music category.